So I decided to delay this post because I figured most of you are like me. 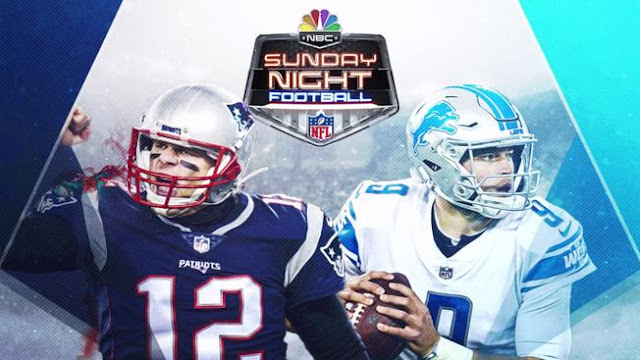 You'll scroll through you local listings or maybe you have Sunday Ticket, thanks Directv, and you're thinking to yourself why can't the Patriots be playing now? These games aren't nearly as fun. So heres your early Sunday fix of the Patriots to get you through to Sunday nights game. The Patriots vs the Lions, Belichick vs Patricia, and the start of Josh Gordons career with the Patriots are all things that Sunday night's game has been called. Interesting storylines, right? Sure, but the fact of the matter is that Matt Patricia, former Patriots defensive coordinator, has been really bad this year. His defense has allowed forty-eight points to the Jets and a rookie quarterback, while also giving up thirty points to a mediocre 49ers team. Ohh and Belichick doesn't lose to his former coordinators. But lets take a closer look at Sunday Night's primetime game. There isn't a lot of tape for this new lions team. They've played two meaningful games under Patricia's new defensive scheme. The lions have ran a mixture of 3-4 and 4-3 defensive fronts. With a lot of gap control. One of the main focuses of the the Lions new defensive scheme is to eliminate the run game and make the quarterback as uncomfortable as possible. I can't help but think that their philosophy has to completely take a 180 degree turn this week. Never in a million years would I expect a defense to say lets make Tom Brady, arguably the greatest quarterback of all time, try to beat us. Most likely he will beat you, like he beats everyone. So my thoughts are that Brady is gonna see a lot of six and seven defensive back packages. The running back committee is gonna have to carry some weight early in the game, to take one or two of those backs off of the field, so that Brady can throw the ball. If the Lions come out in a nickel package the patriots have a few options. One of the main options would to be to attack the middle of the line. Run traps and dives. Play action pass will be a key for the Patriots off as well. 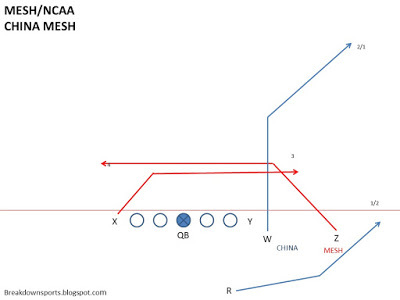 Fake the run and dump the ball into the flats or hit someone in a mesh concept. RB/WR screens will work in their favor as well. 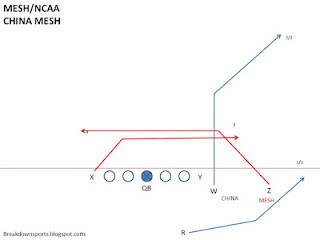 For example have Gronk release into a 15-20 yard out route, while guys like Cordarrelle Patterson and their new addition Josh gordon will "mesh" across the middle and hit them with a pass to use their speed in the open field. While also having one of the running backs release into the flat. The Patriots love to run a mixture of man and zone. The Lions love to allow Matt Stafford to make a pre-snap read. This is in the Patriots favor because they do really well disguising blitzes and disgusting their defensive back packages. The Lions don't run the ball well. Their leading rusher for the season has sixty yards and zero rushing touchdowns, for their entire running back core, through two games. The Patriots can play off the ball and focus on the underrated passer that Matt Stafford is. If the Patriots can put Stafford in positions to read plays wrongly and make mistakes off of those reads they are gonna be in great shape. I think the Patriots are in a good spot this week. How often do the Patriots lose two weeks in a row? How often does a former coordinator beat Belichick? It just doesn't happen. I look for the Pats defense to come away with two interceptions. I also look for Josh Gordon to shock the league and have seven receptions with a touchdown. Gronk will bounce back with a touchdown of his own. I think the Pats win 28-14.